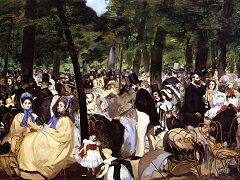 "it is not possible that Manet should never have had a second view of Francisco Goya and El Greco, through some intermediary." 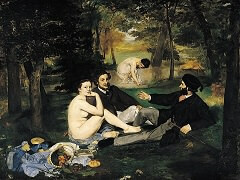 - comments by some art critics. 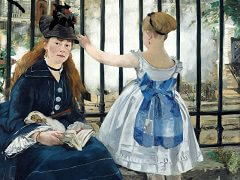 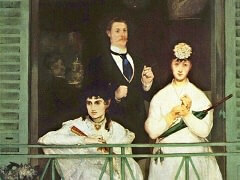 This is one of Manet's most sensitive and delicate works. 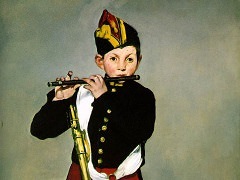 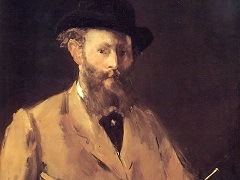 Although the body is perhaps a little wooden, or at any rate exaggeratedly stiff, the color harmonies reveal Manet as a master colorist. 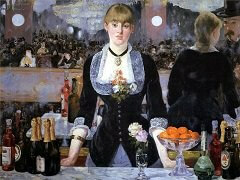 What words can describe the old-rose of the muleta, the silvery, silken texture of the white stockings and sash, and the deep, resonant blacks against the dark olive background.